During the half-term holiday, a number of Blue Coat students were able to take part in exciting trips that not only informed, but were also huge amounts of fun. 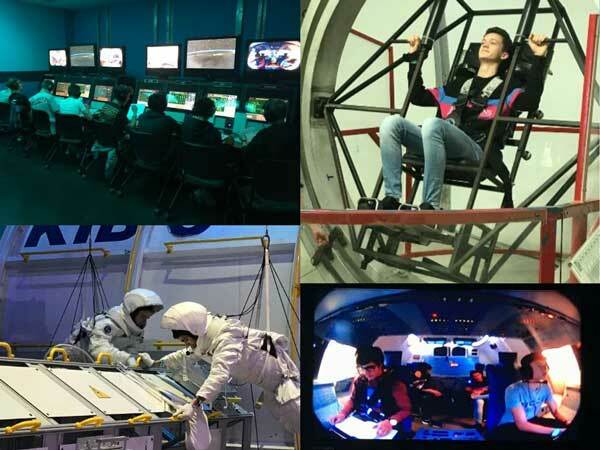 A group of Year 11 and Sixth Form astronaut wannabes headed across the Atlantic for a week at a US Space and Rocket Center Space Camp in Huntsville, Alabama. Their time was spent designing and building rockets; attending lectures on the history of spaceflight; designing a protective coating for capsule re-entry; going on multi-axis training, a 1/6th-gravity gravity chair, a G-Force Experience ride, and a flight simulator; and taking on a high intensity mission using full simulation including taking off, docking and landing the Challenger Space Shuttle to the ISS, and communicating with Ground Control. Science heaven! Also heading across the Atlantic were the Senior public speakers, who flew to Toronto to compete in the International Independent Schools’ Public Speaking Competition. 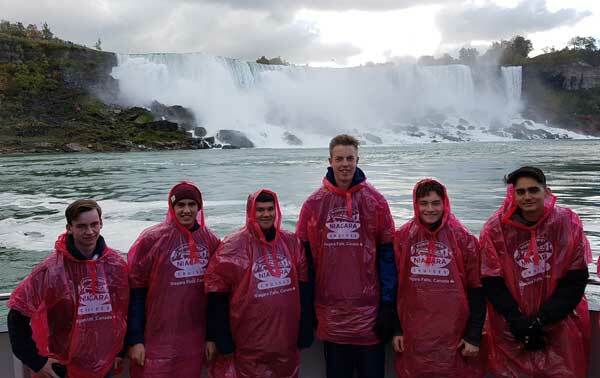 Three days of fierce competition were balanced with trips to see sights such as the Niagara Falls and Ripley’s Aquarium, and, although the boys didn’t make any of the competition finals, they enjoyed the trip and felt they learned a lot from the experience. 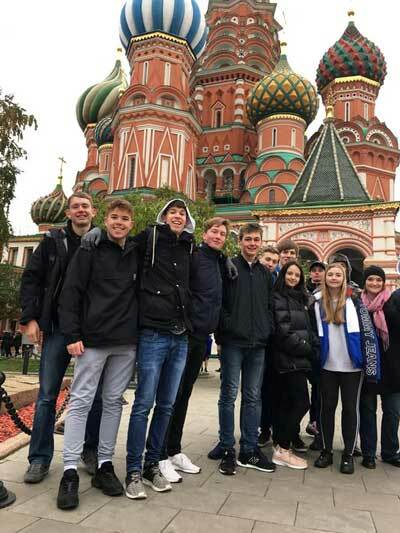 A group of Sixth Form History students spent a week discovering the historical and cultural delights of Moscow and St Petersburg. They started off with visits to Red Square, Lenin’s Mausoleum, St Basil’s Cathedral, the museum of the Great Patriotic War, Victory Park, and the Kremlin in Moscow, before taking a sleeper train to St Petersburg. There, they toured the many churches and buildings created by Peter the Great, visited the Hermitage, the resting place of the Tsars in the Peter and Paul Fortress, and the Nevsky Prospect with its monument to the siege of Leningrad, and took in a performance of “Swan Lake” at the Hermitage Theatre. 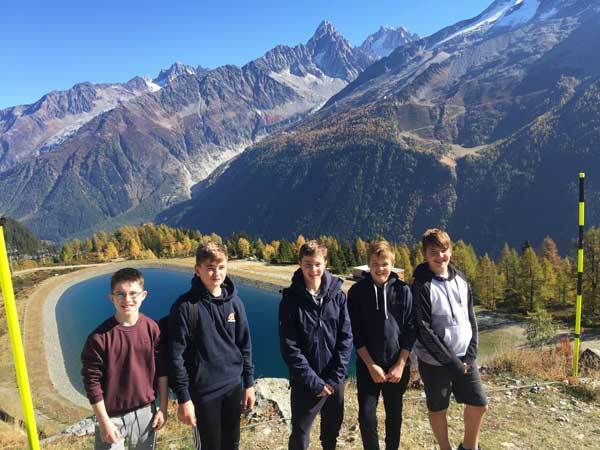 Our Year 9 French students spent an exciting few days in Switzerland and France. Based in Geneva, the group spent a day in Chamonix, where they took the cable car to the highest point in Europe. During the week, they also visited the Olympic Museum in Lausanne, explored Geneva, and had plenty of opportunity to practise their language skills. There was also a trip for our Year 11 geologists to Whatley Quarry in Somerset and a weekend at Longmoor Range for our Army cadets.